BRISBANE’S Bicentennial Bikeway is among the most popular cycling routes in the world according to electronic bike count data captured since January 1 this year. The Brisbane route is ranked number five of more than 211 counters ranked by Eco Counter across 53 countries — with more than 949,846 riders counted on the bikeway so far this year. Bicycle Queensland chief Anne Savage said the data highlighted the success of the Bicentennial Bikeway and emphasised the value of quality bicycle infrastructure. “This data tells a story – bikeways build better communities and get people to their destinations directly, quickly, and without delay,” she said. 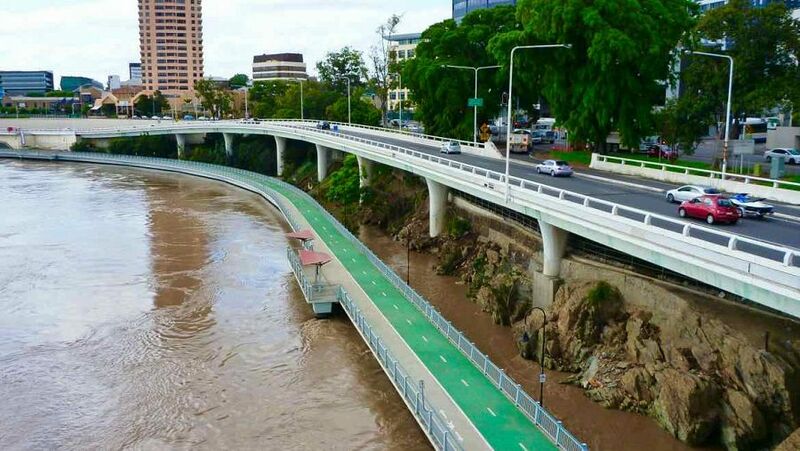 “Brisbane is the only Australian city to feature in the top 10 on a list of 211 counters worldwide, showcasing the viability and value of bikeways in transporting significant numbers of commuters and recreational riders,” Ms Savage said. The four most popular sites were all in Germany, with more than 1,742,956 users counted in Freiburg, 1,011,241 in Hamburg, 976,388 in Erlangen and 972,709 in Munster. “Being able to track real-time data on the number of people commuting by bike and the routes they are using can help us in our efforts to develop cycling infrastructure and facilities to encourage more people to ride more often,” Ms Savage said. Melbourne ranks 18th on the list, with no other Australian cities featured.